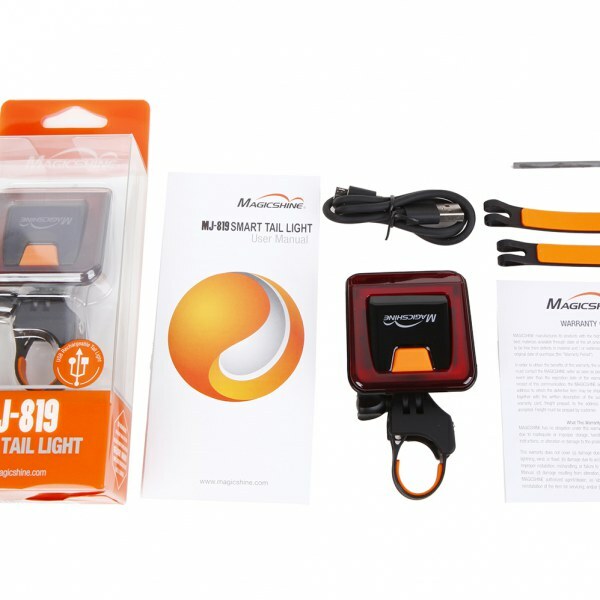 MJ-819 is a masterpiece that provides a new level of safety, beauty and technology. 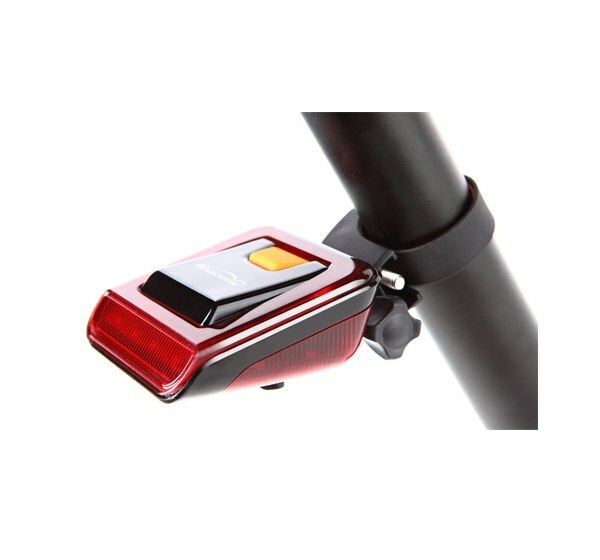 In it unique intelligent mode, the smart tail light detects when the brake is applied and increase the brightness and holds steady to signal to riders or vehicles behind you that you are slowing down. 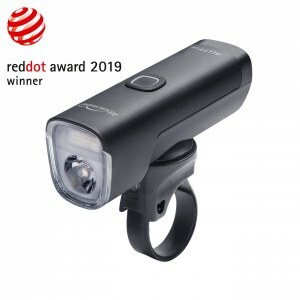 The smart tail light also detects other sources of light and automatically turns on and off as needed.Our smart tail light also provides visibility from all angles and is perfect for cyclists who require added security and protection of our industry-leading intelligent mode. 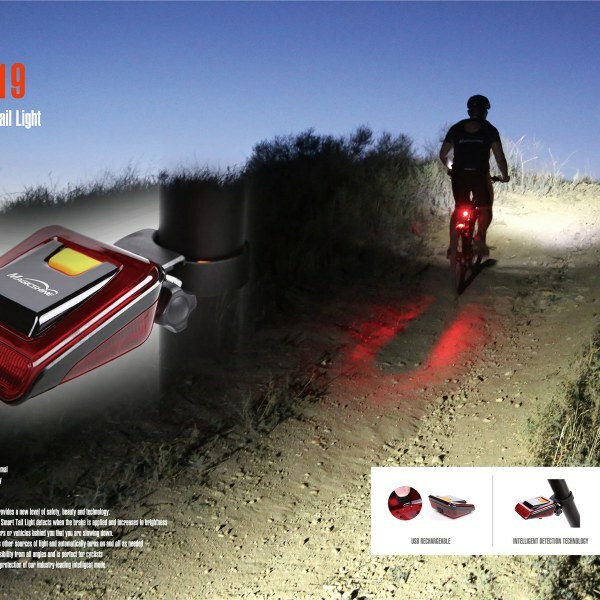 MJ-819 USB Rechargeable Smart led rear bike light, a masterpiece that provides a new level of safety, beauty and technology. 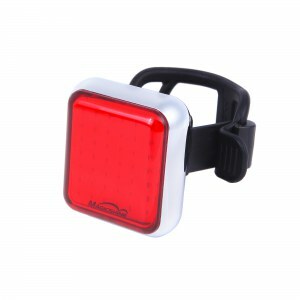 In it unique intelligent mode, the bicycle taillight detects when the brake is applied and increase the brightness and holds steady to signal to riders or vehicles behind you that you are slowing down. 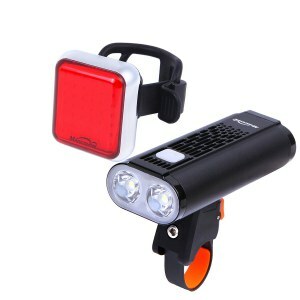 This road bike rear light also detects other sources of light and automatically turns on and off as needed. 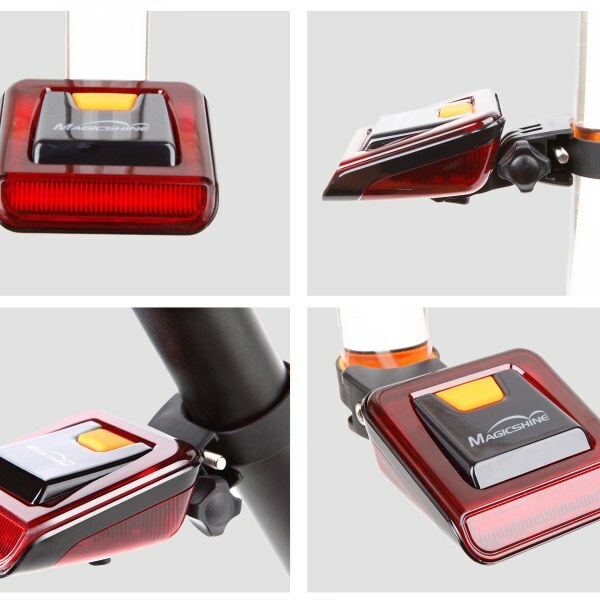 Our led bike tail light also provides visibility from all angles and is perfect for cyclists who require added security and protection of our industry-leading intelligent mode. 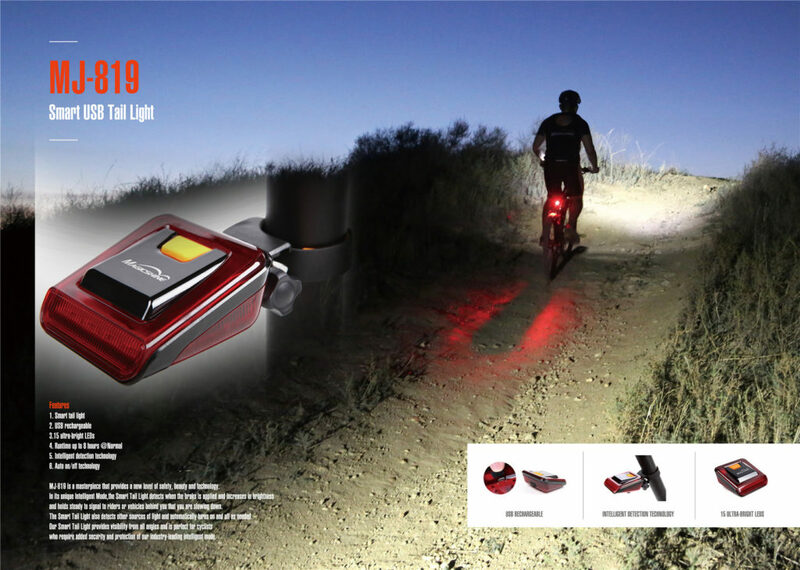 The led rear bike light is powered by 15xSMD red LEDs which is daytime visible and offers more than 180 degrees of visibility. Default mount and straps will fist bike frame sizes 20-32.5mm, longer straps are available to be purchased separately. I may have to steal some words from my last review because they hold so true here as well. 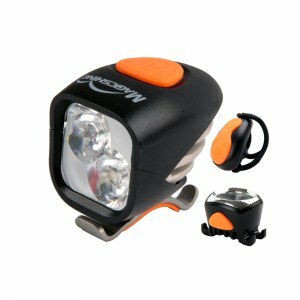 A simple online search for “bike light” will yield a dizzying amount of options. To set themselves apart from one another, most manufactures play the lumen game pushing output to greater and greater heights…and no complaints here. 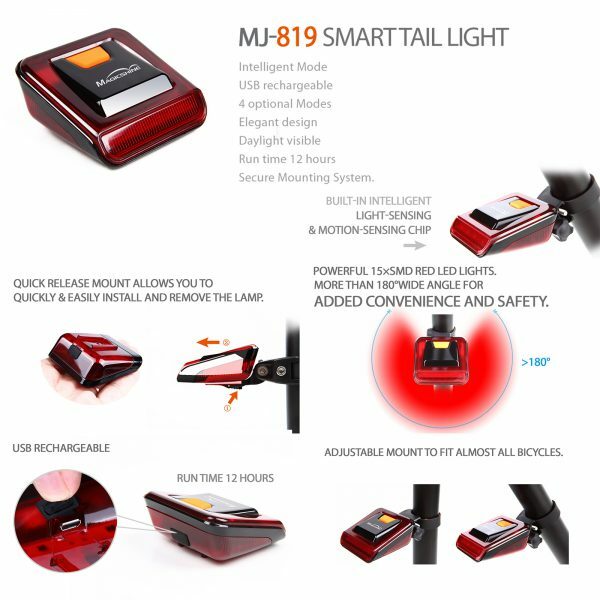 As for the light up-for-review however, the MJ-819 taillight is one of few on the market that has a smart feature to control light output based on riding situations and its light environment. Before diving into these distinguishing features, I’ll go over the basics. 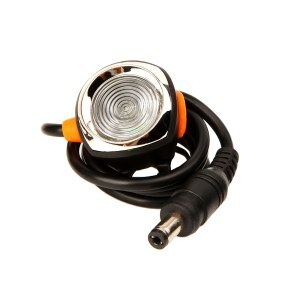 This light has a max runtime of 12hrs, is USB rechargeable and sports a generous 15 count of SMD LEDs oriented to achieve more than 180 degrees of visibility. An IPX4 waterproof rating is also claimed. An interesting design was sought after for the mount. 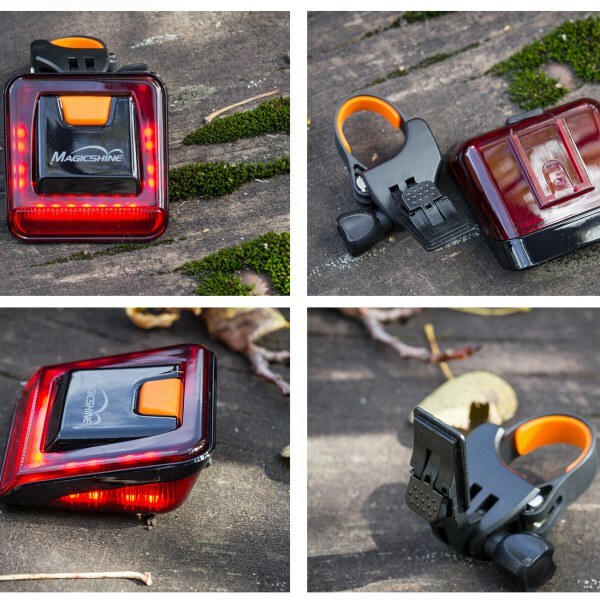 Like some of Magicshine’s larger lights, 3 sizes of straps can secure the quick release mount to your seatpost. Where some mounts are a little flimsy and shaky, this mount is as solid as they come. After this portion the light attaches to a quick release arm which can be a one-hand operation. This arm has a few detents to pitch the light in respect to your seatpost. Overall the mount is sturdier than it needs to be but I’ll take that over a wimpy loop strap any day. Onto that burning question, what about those smart features? Well, there are actually two smart functions. 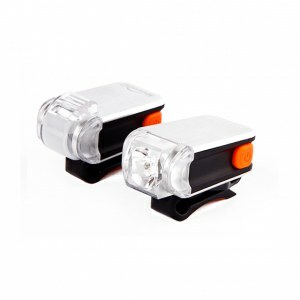 First, this product detects the amount of light in its surroundings to trigger an auto-on/off function. This function certainly works, during daytime testing in “intelligent mode” my light turned itself off while riding outside but then turned itself back on once I stuffed my bike into my car’s trunk. This isn’t of course the purpose for this feature but it was my first encounter with it. The second and more tantalizing feature is the motion sensing controller. Under braking (or slowing for any reason) the light will both increase in intensity and become constant rather than flash. During testing it was not apparent that the intensity increased but the light consistently became solid under braking. In fact, this sensor must be programmed with care because the sensitivity seemed just right. You could coast without the light flipping to solid but as soon as your deceleration became more pronounced, the light would do its “thang.” Thankfully the light is also designed with additional settings to run the light in manual mode so riders can override the daylight-off function as well as the auto-constant function for when that isn’t appropriate. Just like the previous review, there are too many chocolates in this candy shop to blindly choose the best one. Call me then the chocolatier. This little macaroon offers a few things others don’t and it ain’t coconut, rather it is of course the light and motion sensing automation control. 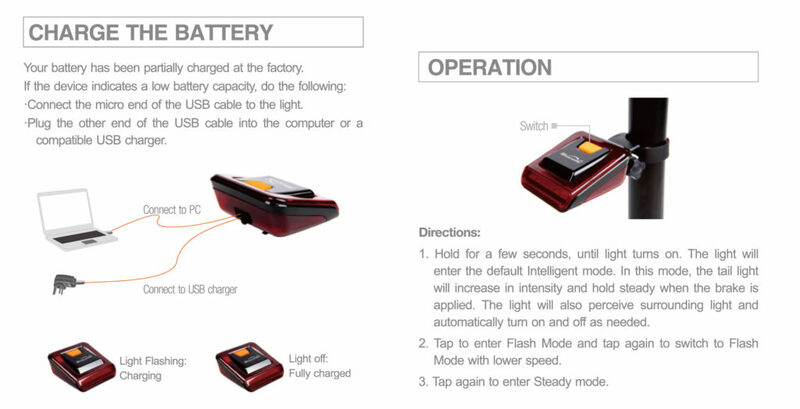 Offering both manual and intelligent mode, users have the luxury to choose when to use these features. Knowing which setting you’re in is challenging and that would be my biggest complaint. 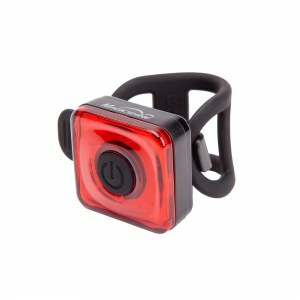 Other design features are great such as the mount and the generous visibility. 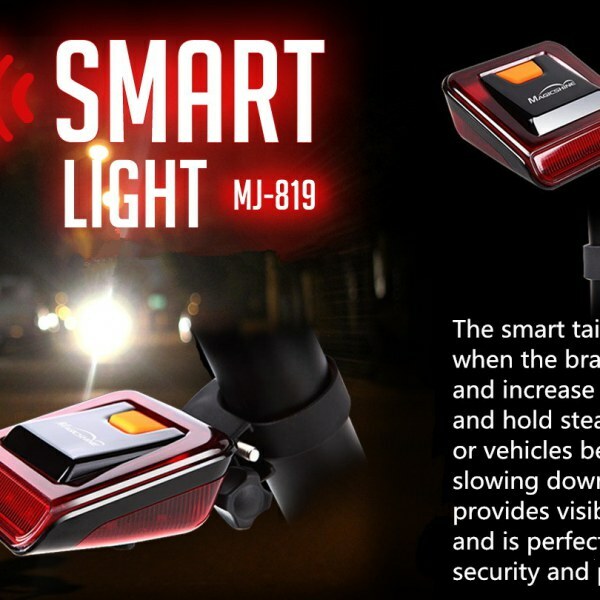 It may not be the perfect light but the MJ-819 achieves all of its goals to be a nifty taillight with uncommon features that make it stand out from the crowd. 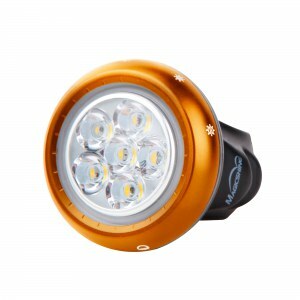 The 819 uses 15 SMD LEDs on 3 sides so the lumen output would be extremely low. To put a number to it, it would be high single digits.